Social housing is not just a roof over tenants’ heads; it is an important part of our heritage but what are the interactions between social housing and heritage? properties in and around Millers Point (heritage items on the State Heritage Register). 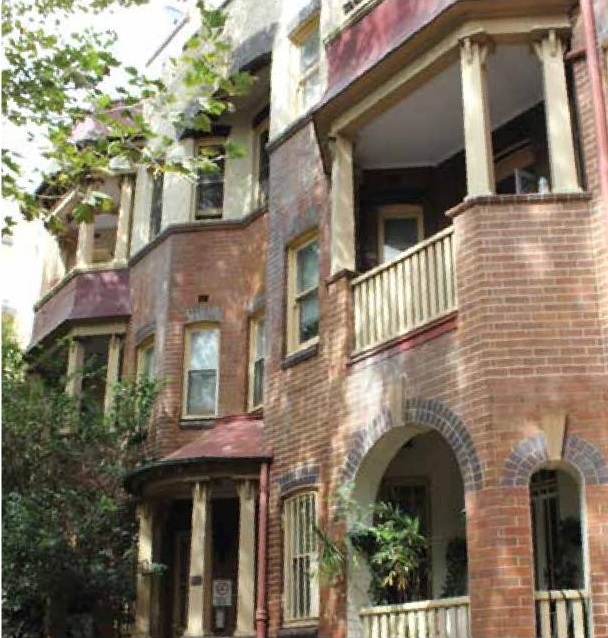 Issues relating to social housing and heritage have been the subject of recent work by both Shelter NSW and the Tenants’ Union of NSW. The Shelter Brief Heritage and social housing examines how heritage is protected, as a matter of law and practice, in New South Wales, and considers the implication of heritage protection for social housing asset management: that is, repairs and maintenance, modifications, redevelopment and disposal of properties. In terms of the law, there are two legal regimes that are most relevant to heritage significant social housing. The first is for locally significant heritage, as identified by the local council, and it operates through the planning system. In particular, it regulates development that affects heritage items and properties in heritage conservation areas, by requiring the documentation of heritage impacts and the consent of the local council before development is carried out. On the other hand, this regime does not impose any positive obligations on owners of heritage properties to maintain or restore properties and certain types of development can be carried out without formal development consent. The second regime is for State significant heritage, as identified by the Minister for Heritage on advice from the Heritage Council. This regime also operates through the planning system, with some additional requirements imposed by the Heritage Act. These include a positive obligation to maintain the property to certain minimum standards and a process for seeking the approval of the Heritage Council for developments. However, for social housing asset management purposes, the legal implications of these regimes is limited, particularly the local level regime. This is because of the way they operate through the planning system, which makes numerous special provisions in relation to development by the NSW Land and Housing Corporation, such as granting it the ability to carry out repairs and maintenance, non-structural alterations, and landscaping without development consent, including in relation to heritage items. Also, because disposing of a property is not ‘development’, sales of heritage significant social housing are not restricted by either of these regimes for heritage protection. This may be particularly important in inner Sydney, where there is interest in selling, rather than redeveloping, heritage significant social housing such as at Millers Point, even though the use of these properties as social housing is part of their heritage significance. The NSW State Government has adopted the Burra Charter in its State Agency Heritage Guide, which directs agencies to ‘lead by example’ in the management of heritage properties. It also directs agencies to consider the state agency’s own history, and that of the community it serves, and to manage and keep heritage assets to reveal and interpret that history. The NSW Land and Housing Corporation’s scale, capacity for documentation and employment of expertise, and even its frugality, should make it well placed to be a good heritage practitioner. The Tenants’ Union’s recent heritage work has been focused on a particular problem: the exclusion of public housing tenancies in heritage properties from the Residential Tenancies Act! The Tenants’ Union first noticed the exclusion in early 2013: apparently Housing NSW was not aware of it, nor was Fair Trading NSW, which drafted the relevant provision (clause 16 of the Residential Tenancies Regulation 2010). The intention of the provision was to exclude only publicly owned buildings let by heritage aficionados who restore and occasionally exhibit the premises (e.g., Bronte House). The wording of the provision, however, means that public housing properties that are heritage items would also be exempt. The exemption applies where a public housing property is a heritage item on a local council’s heritage register or on the State Heritage Register. It does not apply to properties in a heritage conservation area, or to properties managed by a community housing landlord. Tenants with any queries about the exemption should contact their local Tenants Advice and Advocacy Service. Housing NSW has agreed with the Tenants’ Union to seek an amendment to the provision that will return all public housing tenancies to coverage by the Residential Tenancies Act. Chris Martin is Senior Policy Officer at Tenants’ Union of NSW and was commissioned by Shelter NSW to produce a Shelter Brief on Heritage & Social Housing. The full study can be found on the Shelter NSW website. The paper can be found here.